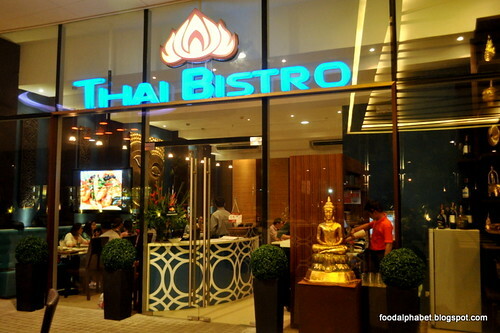 Thai Bistro, the newest Thai food place in town, serving authentic Thai cuisine is a mix of vibrant colors, great dining atmosphere and most of all, delicious tasting Thai food delights, makes Thai Bistro the restaurant of choice among the discerning food enthusiasts. 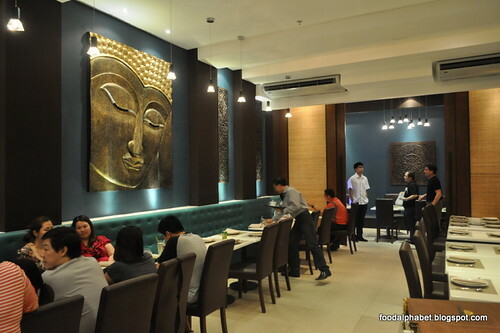 Before we start this food feast, let's cool ourselves down with Thai Bistro's Thai iced tea. 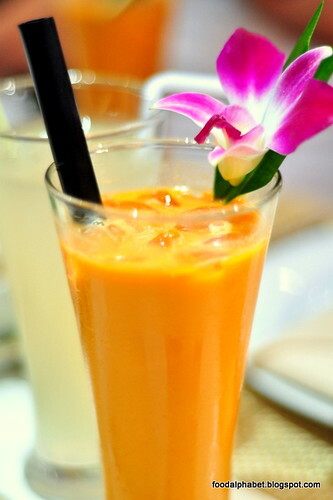 If you have not had the chance of having any Thai iced teas in your lifetime, then this will definitely give you a good impression, made with black tea leaves with a hint of coconut milk and sugar, the perfect drink to soothe your taste buds for spicy food. 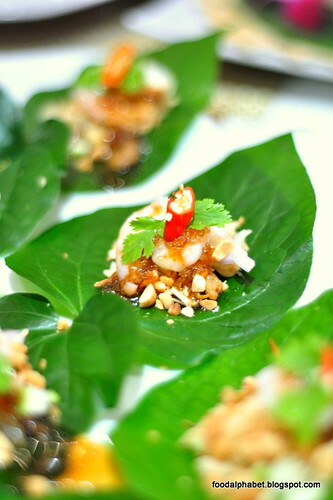 Here we have Mieng Kham (P180), a traditional Thai appetizer, curious as to how it would taste, surprisingly good and refreshing with roasted peanuts, spices and dried shrimp and challots wrapped in Thai Betel leaves. 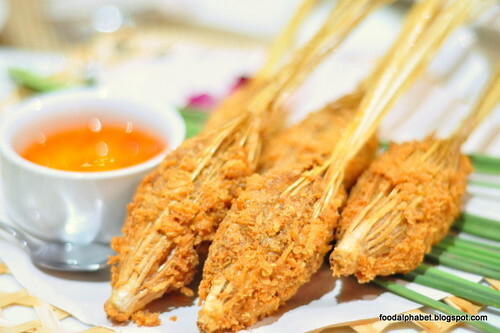 Just like our local lumpia, but this tastes really interesting, other than how good it tastes it is also a healthy snack you can always munch on. 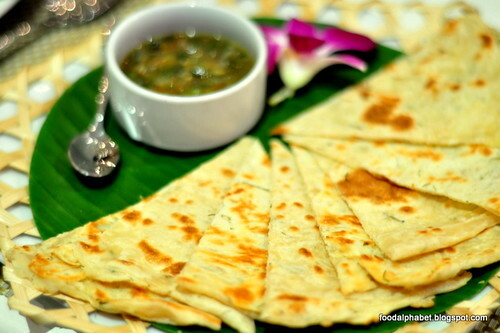 A familiar appetizer is Roti with spiced tomato dip, roti is a staple in Singapore and Malaysia, but I guess it works as well for a Thai restaurant, enjoy this treat hot off the pan, you'll get hooked on it. 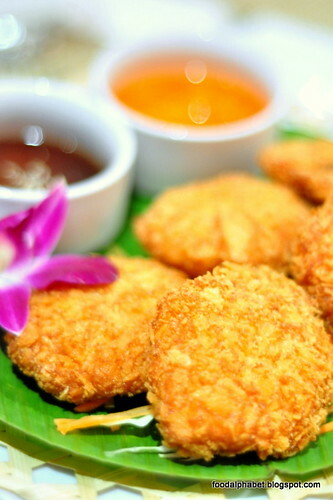 Enjoy the Prawn cakes (P290), with sweet chili sauce and caramelized tamarind puree, crisp fried and tasty cakes, one of the best prawn cakes there is in the metro. 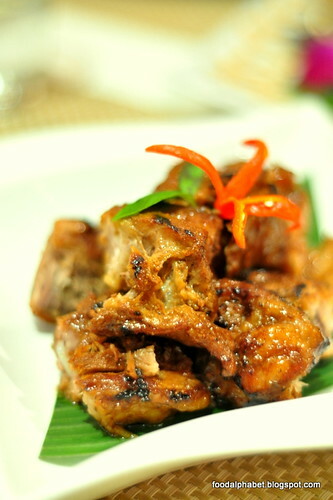 Or taste their Soft shell crab pomelo (P395), mixed with honey roasted chili jam and basil slivers, a tasteful salad with sweets and spice. 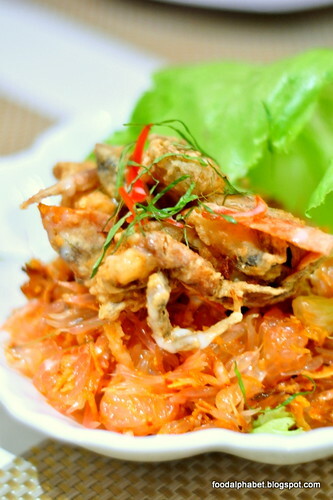 The soft shell crab is complemented well by the sweet pomelo pulps as it pops up juices with every bite. 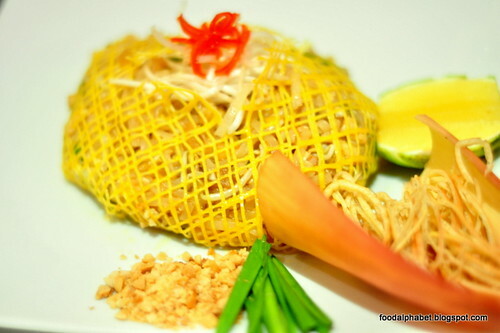 Pad Thai (P320), a perfect mix of rice noodles, with pork, shrimp, egg, bean sprouts and nuts. 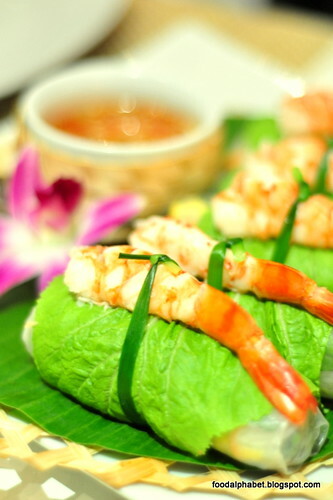 This is a Thai dish like no other Asian dish at all, and the most popular Thai dish at that. 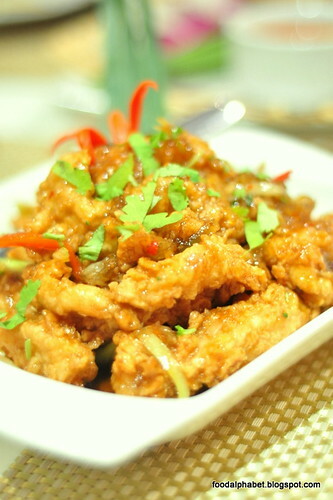 More appetizers! 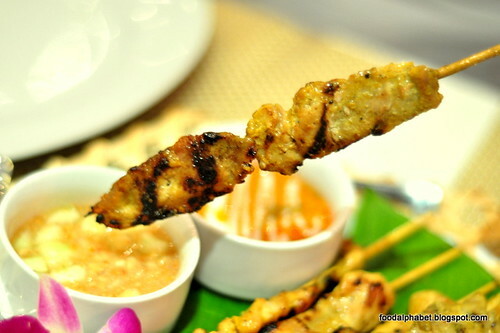 The Satay Duo (P265), chicken and pork skewers with cucumber relish and peanut sauce, I remember I finished around 30 sticks of these babies in one seating when I last went to Thailand, dipping them in peanut sauce, brings out the flavor of the chicken and pork skewers, with a hint of that smoky taste, makes this my favorite appetizer in Thai Bistro. 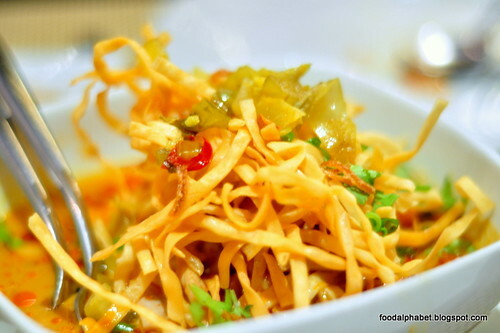 Here are some of the other treats Thai Bistro has to offer, Chiang Mai Khao Soi (P295), a mix of chicken curry with 2-ways egg noodles. 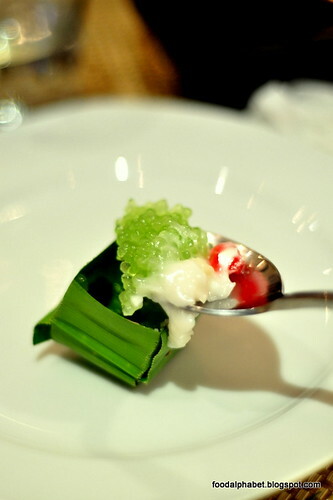 Sala Daeng (P268), lemongrass florets stuffed with chicken and served with sweet chili sauce, is quite a unique dish, though I found it hard to take the meat from inside the lemongrass, the taste of sweet meat heightened by the scent of lemongrass was all worth it. 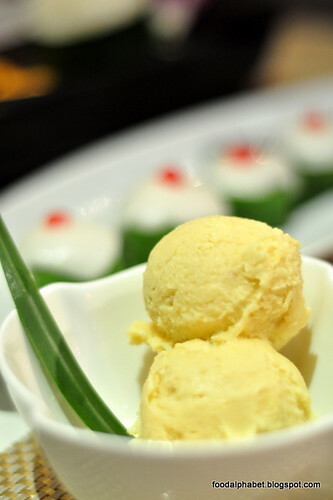 For dessert, try out their Durian ice cream (P180) and their Sticky rice with mango (P210), which they import directly from Thailand to let us experience authentic Thai goodness. 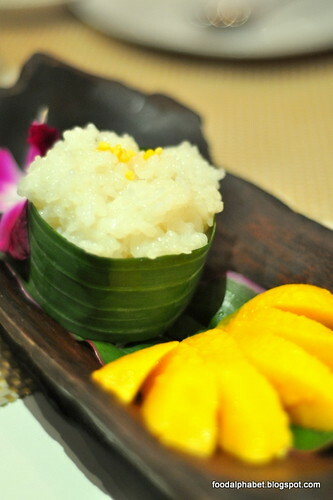 Takhoo Thai (P180) - Tapioca pearls topped with coconut custard, ask my wife how good this really is, she consumed quite a handful, I only had one, but she finished the whole plate. A sweet tooth she indeed is, she was asking for more, but hesitated since she was quite full, but she promised to be back for this. A dessert lovers dream. 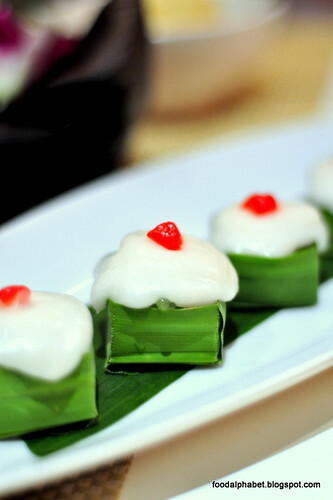 Sweet, creamy and delicious! 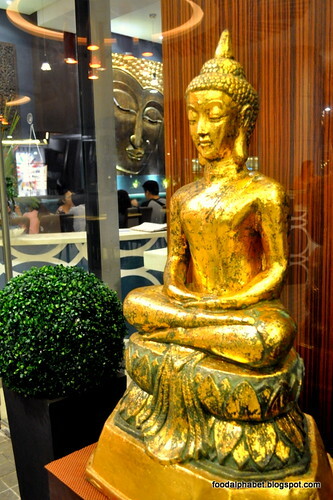 Enjoy Thai Cuisine at it's finest at Thai Bistro, with a truly unique experience of delectable Thai delights, you will surely be back for more.